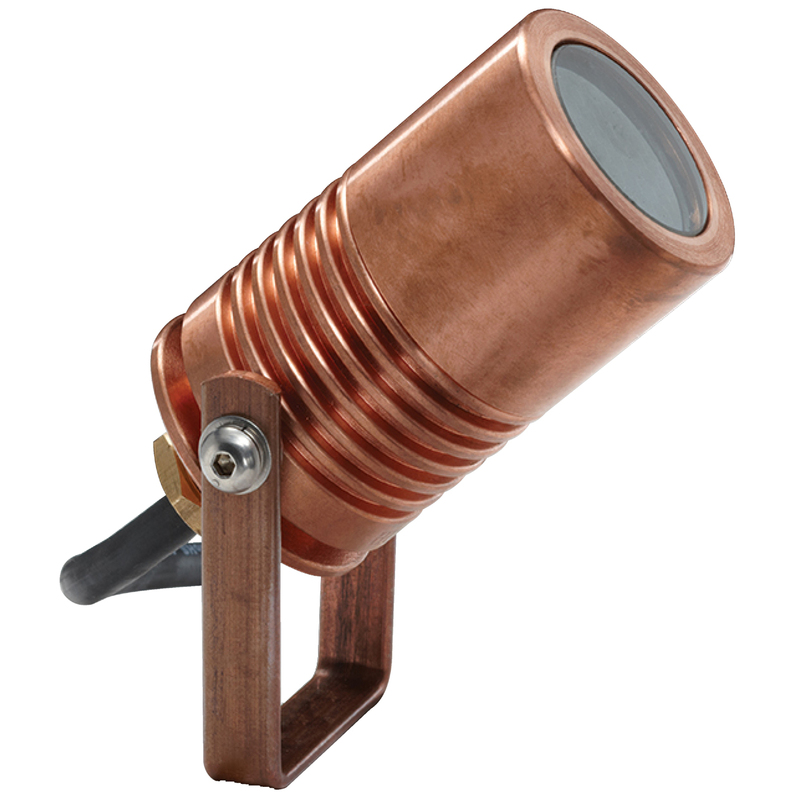 The Euro Spot is for exterior lighting situations where the luminaire needs to be concealed. The small sized MR11 lamp is utilized to achieve this. This spotlight has been beautifully designed to fully utilise the MR11 Dichroic lamp. 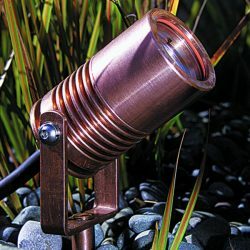 Machined from 45mm solid copper with a copper mounting bracket or 316 stainless steel with a stainless steel mounting bracket, and is available with a spike if required. Clear tempered glass lens with high temperature silicon gaskets and 3 metre submersible cable.